“The cloud” has become a catch-all term for various implementations of distributed computing—yet many people still have no idea what the cloud means and what it can do. You may even be currently using the cloud through an online data drive or social media, but unaware of it. In fact, the cloud is not a physical entity at all, but instead is simply a concept that describes the utilization of networked computers across the globe. Cloud computing facilitates much more efficient data storage, transfer, and processing for everything from running apps and accessing online services, to storing and accessing data. Because of the cloud and this network of servers, businesses and individuals alike can expand their computer operations far beyond what any local infrastructure can do. Cloud is fast taking over the world. Amazon Web Service is a well-know cloud platform for computing, storage, database and networking solutions. If you want to learn more then check the Intellipaat AWS training which is an industry-designed course to help you clear the AWS certification and be industry-ready. Where is your data? When data is stored “in the cloud,” you might be picturing it floating up in the air somewhere—but it’s not literally in fluffy white clouds. When you’re working in the cloud, your data is actually stored or transferred here on Earth through a network of servers, which work together to find the files you need and deliver them to you. In short, when you use the cloud, you’re really using an app that’s either run on or hosted by Internet servers, rather than accessing them from local storage via a hard drive on your own computer. How do you access cloud data? The difference between cloud storage and sharing and traditional forms of storage and sharing comes down to where the software and services are run. Cloud services use the Internet for storage and transfer rather than your local computer or local physical server. Since cloud software is Web-based, that means you can access it through browsers like Safari or Google Chrome, or through specific office software apps. Cross-device support. The cloud lets you access your data from any and every device that has an Internet connection. We’ve talked about the File Roaming feature on WPS Office, so you may be familiar with this concept. This is a huge advantage if you use different devices to do your work or personal computing—whether a laptop and smartphone or a desktop computer and tablet—scenarios which have become almost universal. You can start a project on your iPhone or Android while out to lunch, continue it in the office from your office computer, and then head home and access it again from your personal laptop or iPad on the train. Easy file sharing. Most work environments require team collaboration from different locations. But doing collaborative work can be tricky without the cloud. Cloud-based office productivity software lets you easily share comments and edits on your documents with your colleagues without worrying about sending files back and forth and risking versioning errors. Massive storage space. Since you aren’t limited by the size of your computer’s hard drive, your smartphone’s memory drive, or your company’s server, you can access much more space for storage without worrying that you’ll max out these internal storage limits. This is good for personal users as well as business users, since it means more gigabytes are available to store that growing collection of photos and videos. And don’t forget the added benefit that since your data is being backed up by Internet servers, you don’t need to worry about losing it when your computer’s hard drive crashes. Lower cost. Before the cloud, business and personal users could only increase their ability to store, process, and transfer data by buying a more expensive computer or device to handle the speed and volume. But the cloud relies on remote servers to store information and do the computing—so cloud users can get their work done not only more efficiently, but more cost-effectively. The cloud-based model allows users to choose to pay only for the amount of storage or services they need, which facilitates scaling up or down as needed. This can result in massive savings, particularly for businesses. It’s easy to see from this list of benefits why the cloud has become so disruptive to the way that people live and do business. Whether you’re trying to solve problems that involve workload management, office productivity, team collaboration, or just generally improve efficiency, we think the cloud is the way to go. 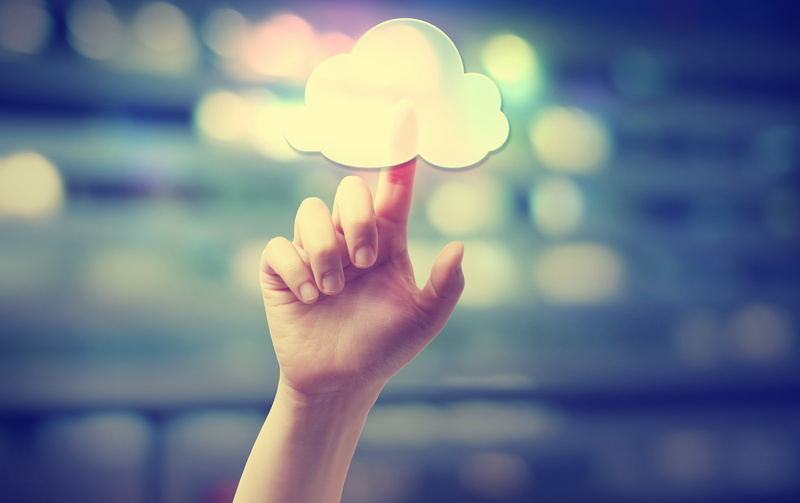 In our next post, we’ll explore the most commercially visible cloud computing technology—cloud storage—in more detail.